With 5 years of experience, we’re the clear choice for Columbus and the surrounding areas. Whether you need emergency lockout service for your car, lock changes for your home, installation for your business, or numerous other services, we’ll do it fast, right, and reliably. Expert Lock and Key is a family owned and operated mobile lock shop. We’re proud to serve our customers in and around the Columbus area. As a leading provider of security and emergency solutions, we’re committed to arriving fast, doing the work right, and beating any price. Our team of friendly professionals offer a wide range of services for your home, business, or vehicle. Whether you need help with lock outs from your car, or need a house locksmith in Columbus, Ohio or the surrounding areas, the professionals at Expert Lock and Key have you covered. We are mobile, and offer a host of locksmith services ranging from dealing with lockouts, to replacing or re keying locks, to creating new transponder keys. If you’re in Columbus, we are likely the best and nearest locksmith to you. Here at Expert Lock and Key, we have been in the locksmith business for years. Everyone forgets their keys somewhere at some point in time, and that shouldn’t have to ruin your day. We are happy to provide a service that prevents that from happening. We also make a lot of other tasks that could otherwise take up your day easy. As a mobile locksmith service, we come can come to you with new transponder or high security keys, saving you an unnecessary trip. We also offer home locksmith services, and will provide you with the best options available for your needs. Often, you can save some money with simple lock repairs rather than a full replacement. Don’t let your locks stop you in your tracks, that’s not what they’re for. When you call us, we’ll do everything we can to ensure that you’re on your way in a timely manner with all your locks and keys working as they should. 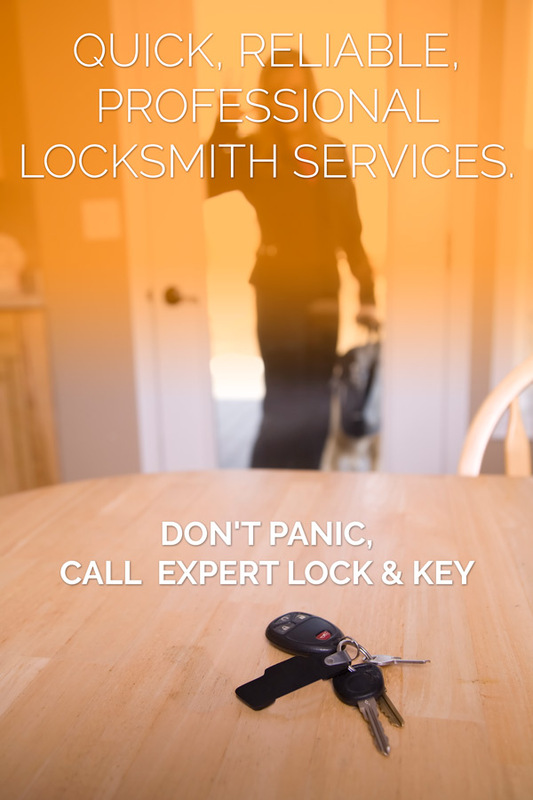 Please feel free to give us a call if you have any questions about our locksmith services. ** This is an average price range list. Prices can vary - many factors can affect the price. The final cost will be provided by the service provider after assessing the job.